On November 24th, 2016, the government of Colombia signed a peace agreement with FARC, putting an end to a 50-year-old internal conflict. The country’s number one priority is the successful implementation of the peace agreement. A successful peace process will enable Colombia to move forward as it faces its many challenges: reducing poverty and inequality (Colombia is among the most unequal countries in the world), increasing economic growth, improving government efficiency, and building a culture of tolerance and peaceful coexistence. The Colombian Network of Football for Peace Organizations (Red Fútbol y Paz) is comprised of thirteen organizations that use the power of football to prevent undesirable social behaviors such as micro trafficking, gang and intra family violence, prostitution, early pregnancies, drug and alcohol abuse. Today, more than 25000 children in 18 of Colombia’s 32 states are officially enrolled in football for peace programs. 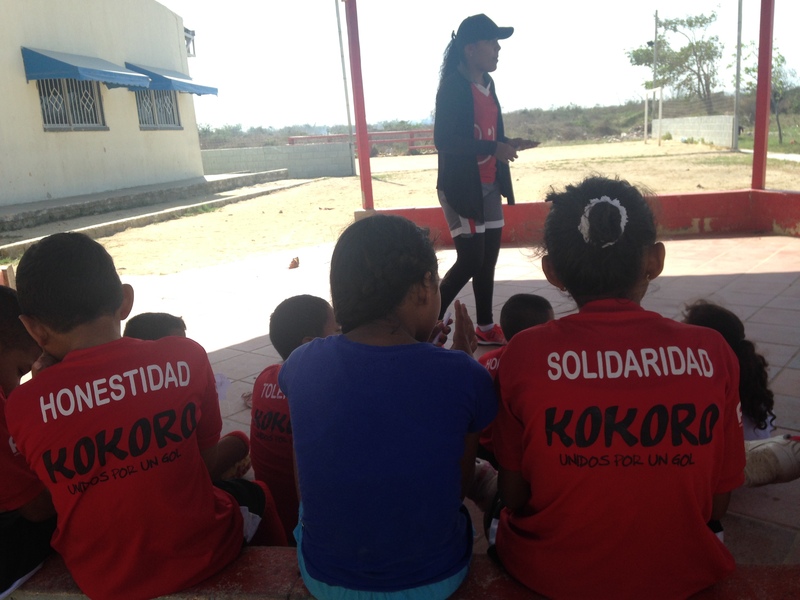 The objective of Red Fútbol y Paz is to help consolidate peace in Colombia by implementing programs in many more communities around the country. In other words, in order for hundreds of thousands, if not millions of children and young adults to practice football for development and peace, innovative models of replicability must be introduced. Fortunately, football is Colombia’s national sport and passion, and 94% of Colombians consider football an important matter in their lives. Since soccer for peace is not a policy priority in Colombia, public funds are not readily available. Most organizations resort to private and/or multi-lateral organizations for funding. The scarcity of funds and the small number of sponsors available for football for peace programs has motivated non-profits to think in more innovative ways to scale their programs. A great deal of thought has been given to the idea of having the communities find ways to manage and finance their football for peace programs for children and young adults. One of these initiatives is the Community Empowerment Model (CEM). In this model communities take on responsibility for the continuation of the program after a given number of years, between 7 and 10. Initially, a sponsor (private, multi-lateral, or non-governmental) provides the funds for the program’s operation. After three years, the annual investment by sponsors start diminishing and young community leaders, who receive intensive training, assume the management of the program. Committees are established at community level for fund raising activities, managing the football pitches, and curriculum follow-up. Also, participants’ parents start paying a small fee that helps sustain the project indefinitely. CEM is achieved through systematic and rigorous implementation. Communities and their leaders are motivated to embrace the project, and strict timelines are applied. Throughout the process the levels of empowerment are constantly monitored and evaluated. As more communities are fully enabled to run their own football for peace programs, investments by sponsors are directed to other communities, thus creating a virtuous cycle of growth and sustainability. Key to this strategy is the development of effective individual and collective leadership in the different communities. 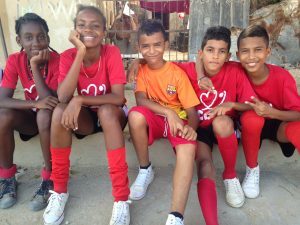 Futbol con Corazón (FCC) is one of the organizations that has developed a plan to replicate a Community Empowerment Model. 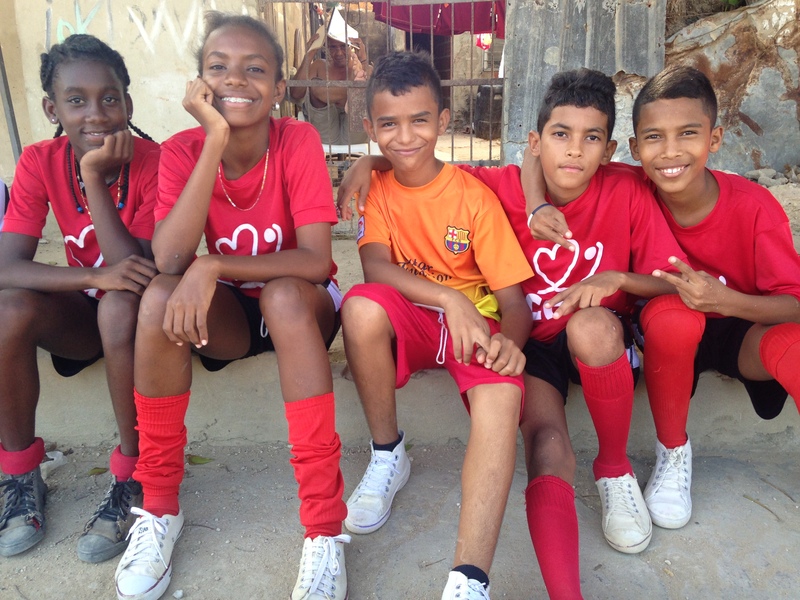 Currently, FCC, located in Barranquillas and Peace and Sport partner, runs 34 after school programs around the country dedicated to developing social and emotional skills in vulnerable children. FCC understands that in order for Colombia achieve new levels of peaceful co-existence, many more programs that include community empowerment must be put in place. When resources are scarce and the needs are enormous as in Colombia, organizations must be innovative in finding ways to spread their impact across many low-income communities. Replication of impactful programs is necessary If society is to achieve an improved social reality. Football provides the tools so that children and adolescents can successfully face many of the challenges related to poverty and exclusion. With initiatives such as CEM, civil society is taking the lead. Multi-lateral organizations and private organizations are providing great support. Through the power of sport and effective strategies for replication, football for peace organizations are on their way towards helping safeguard a lasting peace in Colombia. Disclaimer: The views and opinions expressed in Peace and Sport Watch are those of the authors and do not necessarily represent the views of Peace and Sport.